Are You Looking For a Unique Gift For That Pet Lover In Your Life? It’s Sunday afternoon and I’m sitting here at a client’s house hanging out with 3 *very rambunctious* dogs. I was thinking about how great it is that this client can leave her dogs here when she travels for work, which is quite often. This client became a client because her sister bought one of our gift certificates through our website. Once the gift certificate bearer tried our services, she was hooked and hasn’t looked back. She now uses us occasionally when she works an extra shift at work, on the weekends when she wants to take short trips and when she’s out of town on vacation or conferences. Purchase a gift certificate for your family member who has a birthday coming up. 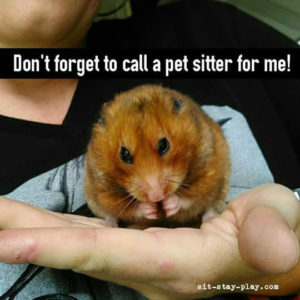 They can use it for a pet sitting visit and not have to bug you or their other ‘go to’ person. Do you have friends who are getting married? If they have pets, I bet they’d love to be able to go on their honeymoon and not have to worry about their dogs or cats. Why not purchase a gift certificate valid for the duration of their honeymoon? Do you have a friend who might need help with walking their dog? But a dog walking gift certificate. Looking for something for a particular dog or cat breed? Our designer can work with you and make something unique, just message us at this link. Take a look at the video below which highlights several of the pets we visit plus our gift certificates.